A cinema for West Norwood? 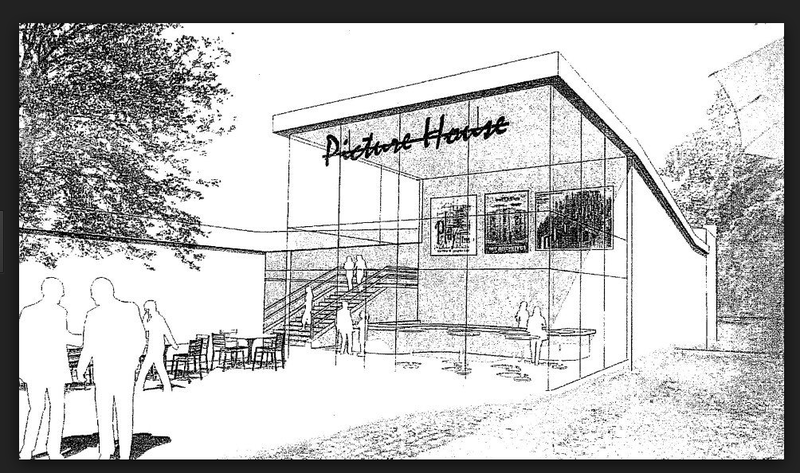 Dulwich already nearly has its own Picturehouse but West Norwood’s seems largely at the well-founded rumour stage. Latest we heard was that a Picturehouse would probably be opening in the Nettlefold theatre building… in 2017. Can’t wait that long? No, neither can we. 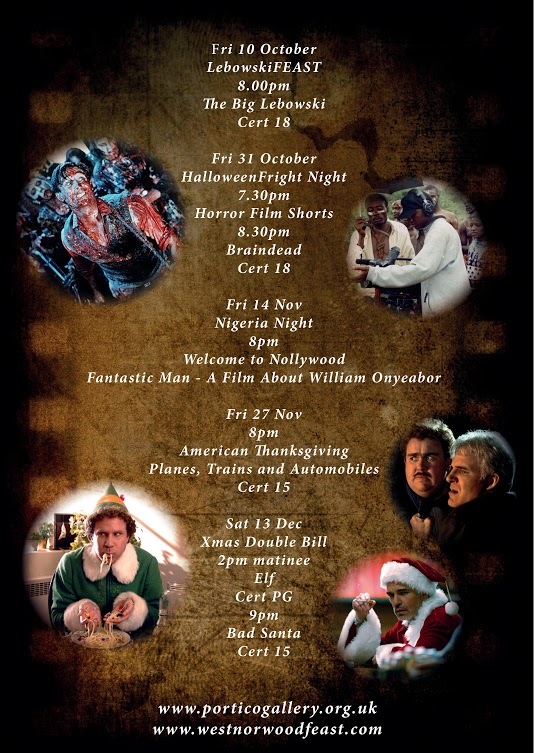 So we at Feast have started some film nights at the Portico Gallery on Knight’s Hill. If you haven’t been yet, the Portico has the most amazingly massive screen and a fleet of plush red chairs. It also has a bar. It is quite the nearest thing we have in West Norwood to our own cinema. This is where you come in. You are reading this probably because you are interested in film and your community. We need people like you. We are looking for anyone who is enthusiastic about film, who has great ideas for film nights and who wants to see it happen in West Norwood. We have a few films scheduled until Christmas but after that it’s up to you! If you have extra skills apart from a passion for all things film, that’s great too. Perhaps you know how to work a projector, are adept at using social media, perhaps you have press connections or you can design a poster or a flyer? Maybe you just want to get involved in something local and fun. We’re meeting next week in the Great North Wood pub on Knights Hill on Wednesday 29 October at 8.30pm to talk through some ideas. Come along. And if you can’t make it, just email us on hello@westnorwoodfeast.comwestnorwoodfeast.com and tell us how you’d like to help. See you next week!